The Fiji National University is the largest university in the South Pacific, boast the advertisements. With 30000 students enrolled in its courses, that’s quite an achievement. Gone are the days when it used to be the poorer cousin of the University of the South Pacific (USP). Under the leadership of former vice-chancellor Ganesh Chand, the institution progressed in leaps and bounds. Its predecessor the Fiji Institute of Technology merged with other institutions, the Fiji School of Medicine, the Fiji College of Agriculture and Lautoka Teachers College, among others to form the FNU, as we know it today. Even regional governments are opting to send students to FNU, attracted by the value-per dollar of course tuition fees. It still has a fair way to go to match the research capacity of USP but give them a few more years. The recent change in leadership has been well covered by the media, Professor Ian Rouse being a worthy successor to Mr Chand. As a seasoned academic and administrator he will be aware of the need to attract high-level professional expertise to improve the institution’s standing and credibility on the international front. The Government has made its intentions clear with the budgetary allocations for 2015. The FNU received an operating grant of $38.6 million plus an extra $4 million for the construction of its Labasa campus. 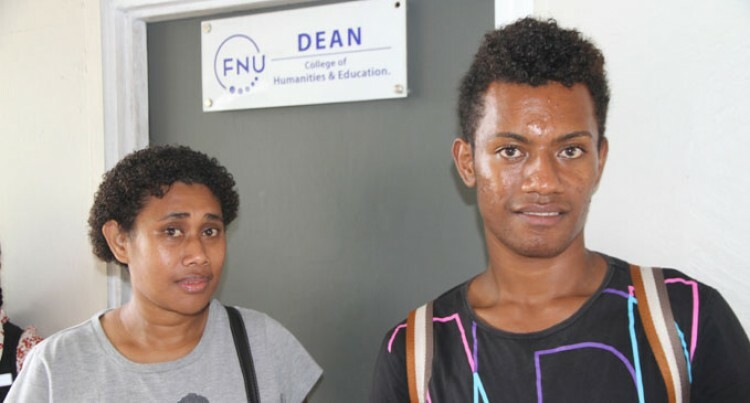 This compares to the University of the South Pacific (USP) allocation of $36.6 as an operating grant and $2.5 million for the University of Fiji. Under Professor Rouses’s leadership we expect better days ahead for the institution. One area that USP still maintains leadership in is providing rich multi-cultural experiences for international students, particularly from the United States of America, Europe, Asia and the Carribean. Foreign exchange students have loved being part of the religious festivals and cultural events at USP. Perhaps FNU can carve out its own niche. The FNU Film Festival and culinary events can be used for showcasing the best of Fijian talent. Of note, is a 2013 article in The Guardian highlighting the fact that more English students are choosing to study in the U.S. Top US universities like Yale and Stanford are being chosen over Oxford and Cambridge. The reasons are cultural. One British student put it succinctly. In its question for growth and academic excellence at FNU let’s not forget what makes us Fijian. Young people aren’t just interested in going through the motions for certification. The Guardian article reminds us that students are looking for something more holistic. Let’s make their education at FNU worthwhile.